Wade “Dreadnaught” Penfold has been around the esports scene for quite some time. As a professional player and caster for Blizzard’s Heroes of the Storm he made a name for himself. In the aftermath of the cancellation of the HGC, HotS’ professional league, Dreadnaught needed to shift his focus onto other esports games – and got interested in becoming a part of one of his favorite games: Rocket League. 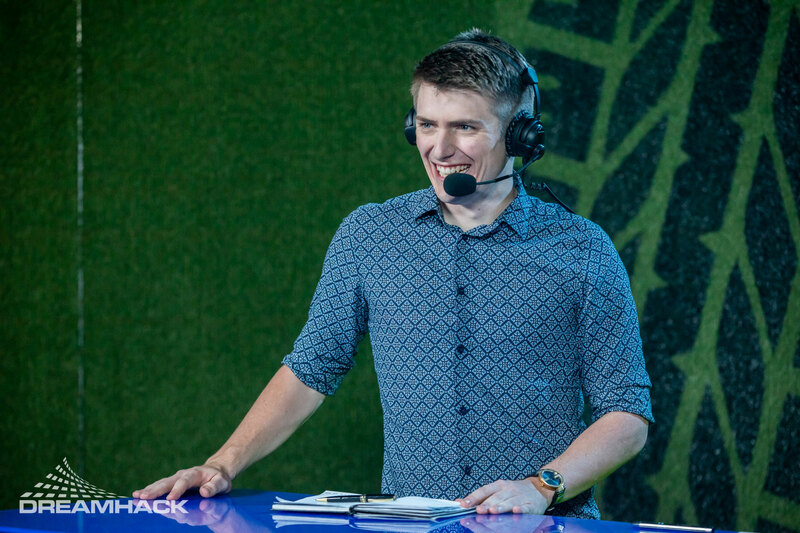 At Dreamhack Leipzig he gave his debut behind the desk and convinced us with a deep understanding of the game and its scene. We reached out to Dreadnaught to talk about life after HGC and his future focus on Rocket League. Wade, it’s coming a little late, but let us officially welcome you to the Rocket League community. Tell me a bit about how you first got interested in the game and why you chose to get involved in this community? I first started getting interested in Rocket League when the game released. At the time, I was still playing Heroes of the Storm professionally and working on that aspect of my life. But whenever I was able to find some time to play games for fun, Rocket League was always my go to and something I referred to as a guilty pleasure for some time. I had never had any aspirations to try to play Rocket League competitively, but the scene and its development was something that immediately had caught my eye. The moment that I was able to find myself in a commentary position and comfortable enough with my skills to work on other games than Heroes, I looked to join Rocket League in any facet that I could. After about 2 years of working on showing my interest, I was lucky enough to get an opportunity to host for Dreamhack and the Pro Circuit. I choose the game because of how much I love the game and I think it has a lot of unique elements that can really help it become one of the best esports in the world. Obviously we’re a Rocket League magazine, but as a huge Heroes of the Storm fan I still got to mention your outstanding work on the HGC broadcasts. How surprised were you by the decision to pretty much cut off the entire esports scene? I think everyone, myself included, was absolutely shocked. I had my doubts about what the future of the Heroes competitive scene may hold, but by no stretch of the imagination did I think that it would lose all of its support from Blizzard. Even the biggest of naysayers for Heroes I think were a bit surprised. For many, it is not surprising to see removal of support, but the amount of step back and the haste at which it came that is so surprising. Post HGC, things have been crazy and all over the place, and my emotions are no exception to that. One day, I can believe in myself and what I’ve done, and the next I accept my failure in the esports world and find urgency to get a normal job. It’s hard, but I’m trying. How difficult is it for you as a caster and host to transfer from one game to another? To rotate from game to game can be challenging, depending on my own interest and skill level at the game. The more you enjoy the game, the easier it becomes to study because it’s more fun than it is work. The better you are at the game, the quicker you can accurately learn and breakdown complex elements and match the pace of the game at hand. The knowledge of the players and the scene is always a rather large download, too, because there can be a lot of background and history that you must understand before you can speak to the game. For me, I think that I am lucky to have been an Ex-Pro because it has taught me a lot about how to learn about games and get into some of the thoughts/feelings the players may be engaging in. But this does not help when it comes to the players and history of the scene. It takes a lot of VoD review and weeks of studying to be able to really understand and feel the weight of the scene and the stories within it. In short, it takes a ton of time to try to enter a scene, but the players and history are the hardest part. In how far is Rocket League different from any other game that you’ve casted? Rocket League is very different than any game I have casted because it has so much tension at almost all points of the game. At the professional level, we almost permanently sit one bad touch away from the opposing team scoring and that is not something you see in many games today. This makes it much more difficult to try to accurately match your words and pacing to the game, because one simple slip up and you find yourselves in a goal situation. This constant tension can make it extremely challenging to make moments that deserve to be hype build up or avoid being caught off guard. Rocket League asks a lot of its commentators because of this tension and I think it demands a certain level of game sense that I don’t think many other games do. Your first major event was Dreamhack in Leipzig, and from what I can tell everybody was really happy with your performance behind the desk. How did you prepare for the event and your introduction into the scene? I prepared for Dreamhack by watching all of the most recent international events and taking notes on each match and the players. I would note every storyline the commentators were lining up through the events and tried to really take in and learn them for myself. After about 5 or 6 tournaments, and watching the qualifiers, I would then just fill out any remaining questions/stories by researching through liquipedia. I would do this before and after my streams everyday once I had been informed that I was given the opportunity to host. It was an amazing weekend of Rocket League and I am honored that I was able to be a small part of it. It was very challenging to take on a new scene and a new role at the same time. I wasn’t perfect, but I am proud of what I was able to accomplish this weekend…. Dreamhack saw the return of Dignitas to the top. Do you think that these guys will dominate RLCS S7 again or what other team do you consider to be among the favorites? I personally think that Dignitas will stay at the top. I have always loved and appreciated teams that have the ability to stay at the top and demonstrate consistency. With Rocket League being such a hard game to master, almost no one has demonstrated the idea of consistency like that group of guys. Though, they are not the same, there is enough residue that I think they will be able to maintain their status at the top. I have an extreme amount of respect for what they have been able to do in a game where no one else seems to be able to be the same team at 2 different tournaments. Heck, half of the teams may not be the same team the next day…but Dignitas is the outlier and I think it will look this way until others can find a way to gain that consistency. If I had to give my next challenger to that spot, it seems like it would be NRG. They have shown to be one of the more consistent groups over long periods of time that just have struggled to find a way to close the gap. Considering that you might be a new face for many Rocket League fans, tell us a bit about your background. How did you first get into casting and when did you decide to pursue this as a full-time career? I first started casting after I had stepped down from the Tempo Storm Heroes of the Storm roster, post Blizzcon 2015. I had been asked to cast some amatuer events to help teach the audience about pro level play and quickly people enjoyed what I had to offer. Within a few weeks I had been asked to go to LANs and within a few months I had realized that it was something that I wanted to do. I continued to commentate for Heroes and then later was brought on for the professional league known as the HGC. When the HGC was created I had taken on the mentality that I wanted to be the best talent that I could be and decided to take it on full-time. I have now been lucky enough to commentate a lot of games and even slowly work my way into hosting, like I did for Rocket League. Post-HGC you also jumped on the opportunity to create some content around Apex Legends. What’s your strategy going forward and how much of a focus will you put on Rocket League esports? As I had said before, I have been interested in being a part of the Rocket League scene for a few years before being lucky enough to get a shot at it. I would love to put a large, if not all, of my focus towards Rocket League, but I also have to be realistic about how to support myself. 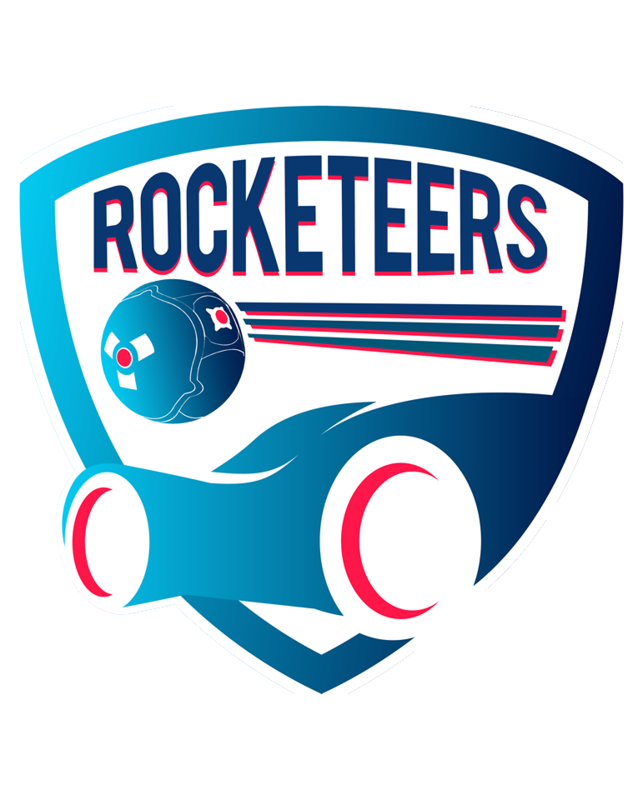 I would love to play a paramount part in the development of the scene and the future of professional Rocket League but a lot of it hinges on what opportunities I am able to find. For now, I intend to be a part of it in any way that I can and hope that the work I have been able to put out is enough to find more chances in the future. After Gillyweed you’re the second HGC talent to transfer to Rocket League. 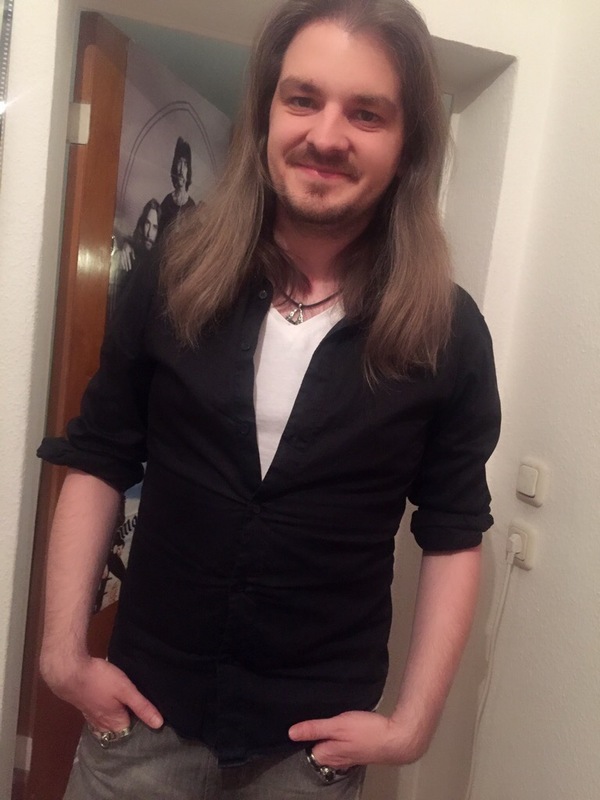 Anybody else from the HGC days that you would recommend to join our community? Everyone. There is not a single person from Heroes of the Storm that I would not suggest to the Rocket League scene. The game is fantastic, the players are awe-inspiring in their skill and play, and the fans have more passion than you can imagine… what’s not to love? To be completely honest, I have pretty much been telling them that for the past year and at this point they are sick of hearing it. Rocket League has a very hopeful scene and a great game to back it up.